Some of the most beautiful music from Mozart's operas is to be found in Così fan Tutte. 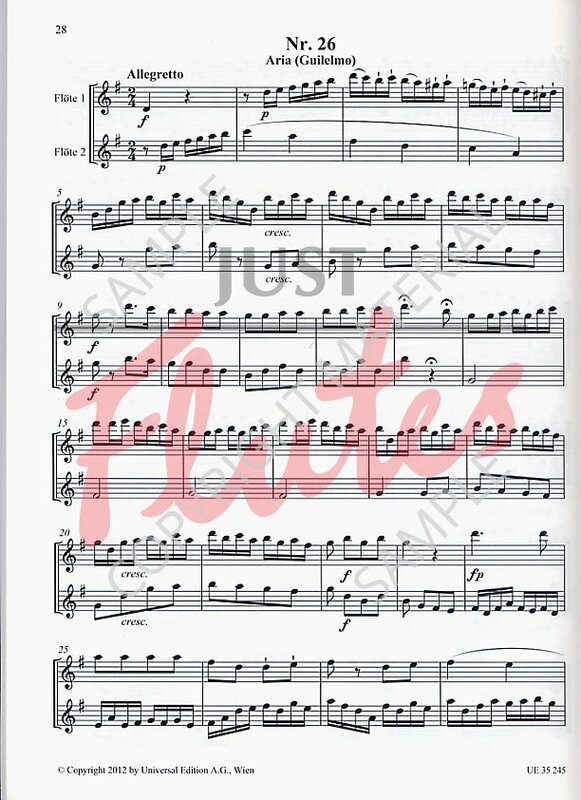 Now flautists can extend their repertoire and explore these glorious moments. These duet arrangements from the late 18th and early 19th centuries of Mozart's operatic highlights have served as a basis for modern-day editors. 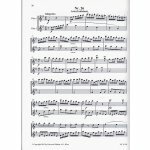 Whilst retaining many aspects of the original flute arrangements, Mozart's own intentions with regard to the relevant orchestral settings have been considered and respected. 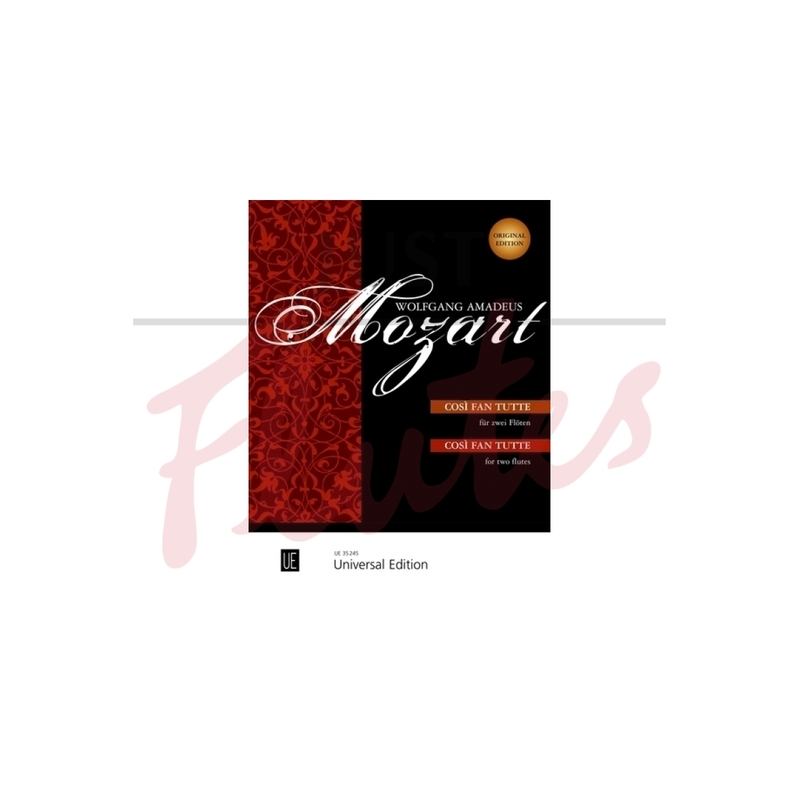 Suitable for intermediate-level flautists, these duets may well introduce players to the music of Mozart.